Another foraging opportunity… if you live in China or India or Cuba or really, the Tropics. This tree has silk fibers much like the kapok tree and is commonly used to make mattresses in Asia. This plant has a very long bloom period. It opens first bloom in fall, lights up the sky throughout winter and may still have a bloom or two in spring. Like the kapok tree, it is a dry deciduous tree that loses its leaves in the dry season and replaces them with huge, bulky red flowers near top of tree with wide petals. The flowers up to 6″ across are edible. For interest’s sake, the red-silk cotton tree, Bombax ceiba, is sometimes mistakenly called “Kapok” because it produces floss. 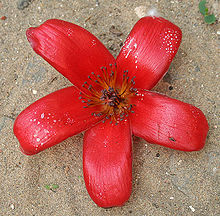 The true Kapok is Ceiba pentandra and is not common in Florida. The red-silk cotton is in the Malvaceae family, but is sometimes placed in the Bombacaceae family by some authors. 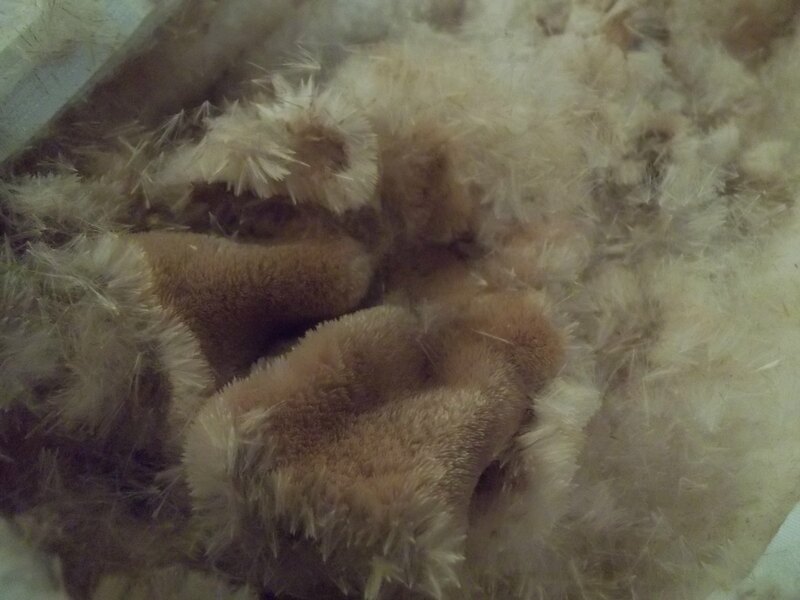 Just like wool mattresses, sleepers recard their silk every few years as it compacts very firmly. Natural bug-repellents are used mixed in the cotton like eucalyptus or strong versions of mint or lavender. During fires, large amounts of cancer-causing dioxins and furans are produced by combustion of materials containing brominated and chlorinated substrate. Since firefighters are known to have high rates of cancer, the study focuses on the exposure of firefighters to these compounds while firefighting. Previous studies of firefighters have focused on exposure to chlorinated dioxins and furans. This pilot study is the first to measure brominated dioxins/furans (PBDD/Fs) in blood of firefighters. Because homes and offices contain large amounts of brominated flame retardants, we expected to find brominated dioxins/furans in firefighter blood. *Brominated dioxin and furan concentrations in firefighter blood were extremely high, and were 21 times more toxic than the chlorinated dioxins and furans. The authors conclude that brominated dioxins and furans may pose a greater cancer risk to firefighters than previously thought. *Patterns of the brominated flame retardants, PBDEs in the firefighters were dominated by deca-BDE. A deca-dominated pattern is not found in the general population, but is typical of the pattern found in blood of e waste recyclers continuously exposed to deca-BDE resulting from open burning of plastic TVs and computers. *The firefighters also had elevated levels of two perfluorinated chemicals, PFOA and PFNA. PFOA, a cancer-causing chemical that is linked to the risk of stroke, was phased out of commerce in 2001 but is released in large amounts from household and building materials during fires. *The findings of this pilot study indicate that firefighters are at risk for cancer and serious health effects from their occupational exposure. A larger study of firefighters is planned. Read more about the study at the Marine Environmental Research Institute. If you stop by the New Hope Farmers Market any Saturday (8-1) or the Golden Valley Farmers Market Sundays (8-12) this summer, make sure to stop by and say hi. We’ll be selling our Pillow Kits and Dryer Balls and wool craft kits and hanging out all morning, every weekend. Why we’re at a farmers market when we’re not farmers, I’m not really sure. But personally I support local farmers and appreciate those sorts of people and apparently we’re “crafters” since we DIY our products as much as possible. Join us to shred some natural latex or fluff some kapok to fill your pillow. We will provide the pillow cases, the unfluffed kapok and the latex falloff. You choose your pillow sizes and which fill you would like. Also, bring a favorite practice of yours to share, some trick or solution that you use to follow a natural path. This event is open to all, so feel free to invite anyone who might enjoy physically investing in their pillows. We really will be using our hands to pull apart bits of natural latex or separating the kapok clumps to create lofty, smooth pillows. Please RSVP with your pillow preference by May 23 here or by email dbrenton@diynaturalbedding.com or phone 763-445-9676. Cost is just for supplies. Since you will be shredding your own latex and fluffing your own kapok, costs are less than the pillow kits online. A couple weeks ago, when the wind was sharp, the temperature was single digits and the ice was frozen, a daughter and I made a trip to a nearby lake. It is a double lake, bottlenecked in the middle with a bridge spanning that narrow opening and between the two sides of the lake, a path lined by tall cattails. We brought along a bag and made sure to wear our boots and mittens. Instead of traversing the lake, we hopped into the forest of cattails and started snapping. Snapping off the top spikes and snapping the stems beneath the fluff. A crust of icy snow kept us on top of the uneven mounds most of the time with only a few breakthroughs to snow up to our knees. The wind was calmed among the stems, almost as tall as I was. A gentlemen walking past stopped and inquired after what we were doing. As we had already chatted with him on his first walk about the weather’s reluctance to give up winter, I considered his inquiry a friendly neighborly touch, quite in contrast to the very nervous park ranger who stopped me foraging last summer. 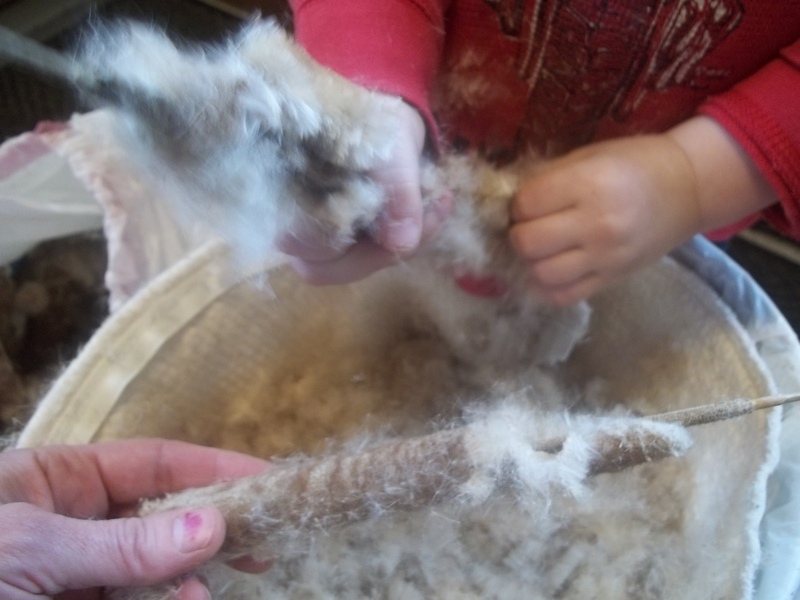 Before we could answer, he told us we should be picking the cattails in the fall before the fluff starts to loosen. Then, he said, we could dye the cattails decorative colors and use them in table settings. I thanked him for his tip as he walked back the path again and we went back to our snapping. With the stems poking through the bag, catching on my jeans and our bag starting to look rather full, we trotted back to the van, crunching white ice frozen in the street curbs on our way. In the warmth of our home over a rug, I set up. 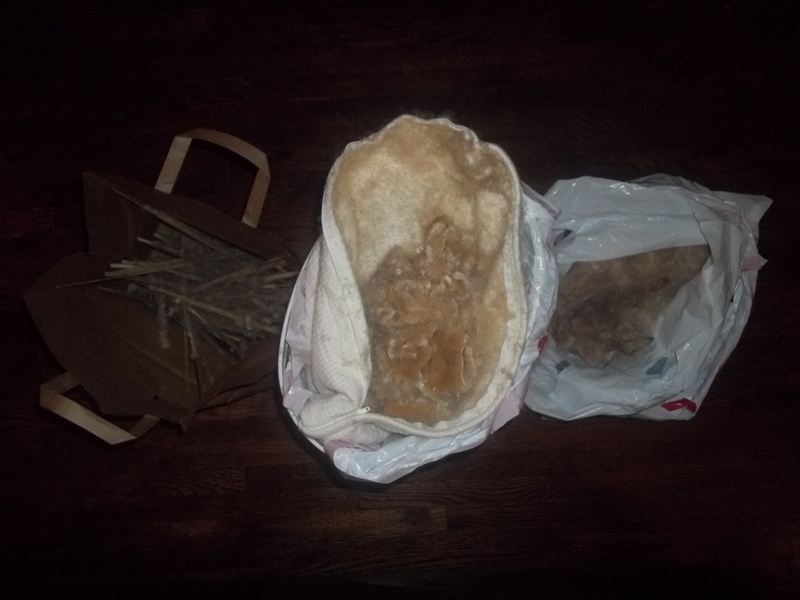 One clean garbage bag for the pillowcase, one paper bag for the stems and one bag of cattails. Peeling the fluff down with my thumb, I could scrape a path in the seeds so I could bend the rest of the fluff off bit by bit. Last summer when taking pictures for the website, I stuck a stack of pillows under our grape vines and stained a pillowcase, but that left a perfect pillowcase for my purpose, especially as it was a nice, thick double knit one. Over an hour or two, I scraped and peeled the seeds into the case. Occasionally I stirred the fluff loose from itself so it would not stay clumped. You can imagine the beauty of the air around me when my almost 3 year started to help. Every wave of his cattail loosened little floating seeds that were as close as you can come to falling snow inside the house. Though the long winter’s afternoon when I let the kids shred packing Styrofoam in the living room to create a snow carnival was, hands down, a messier affair. I slept on the pillow last night and the night before. I slept soundly and quite happily. 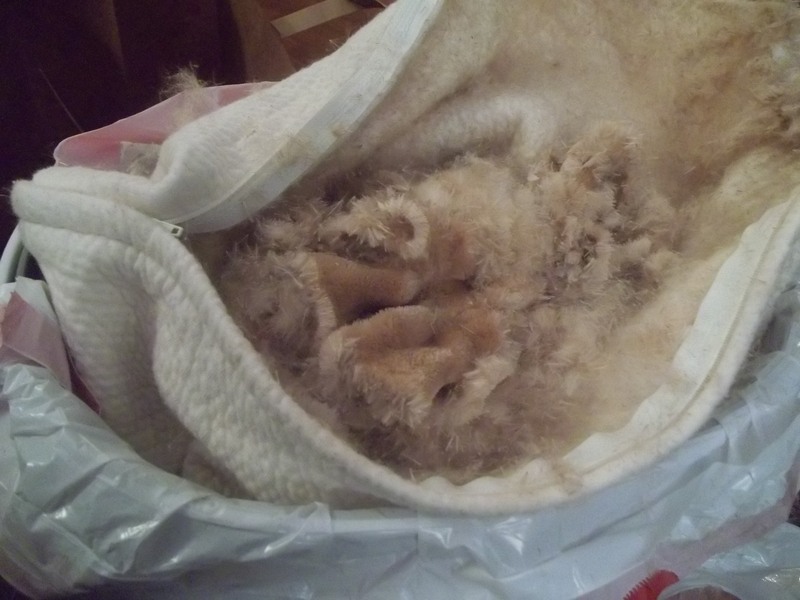 For an adjustable fill pillow, the fill does not roll around when shaken like the shredded latex pillow, nor did I over stuff the pillow so that it would keep its shape like a couch pillow should. The cattails made the pillow flatish and softish, not firm, perhaps a little lumpy, though fill could easily be shifted to a new spot. 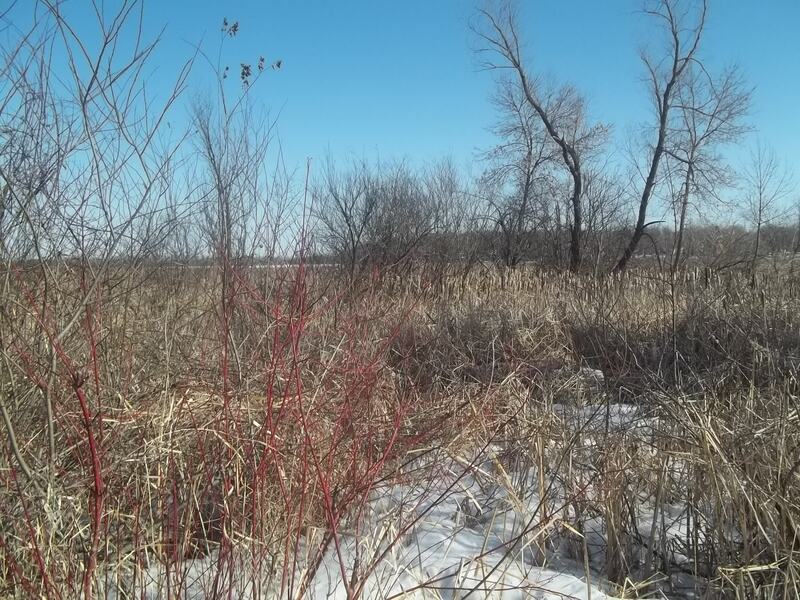 So if you want to forage your own cattails, get your waders on and go get them before the wind does. New stalks will be growing in May or June. I could share my spot with you as even our 100 cattails barely made a dent in the thousands that bordered this lake. If you ever want to plant some, take some seeds from your pillow as the seeds are viable for 100 years or so. And if you really want to get into cattails, look up when to eat them and their pollen. Thanks to Tyler, a customer who bought a pillow case just for this purpose, for this idea. While we really like to offer good deals to you and we keep our prices low so that we can make your purchases more affordable, we have realized we cannot offer free shipping on all purchases anymore. In a few weeks, flat rate shipping will be added to every item. We will still share a bit of the shipping with you, but will have to ask that you share some of it with us too. So if you want that free shipping while it lasts, take advantage of it. How would you like to see decreases in pain by 84% without having to change your diet or exercise habits? 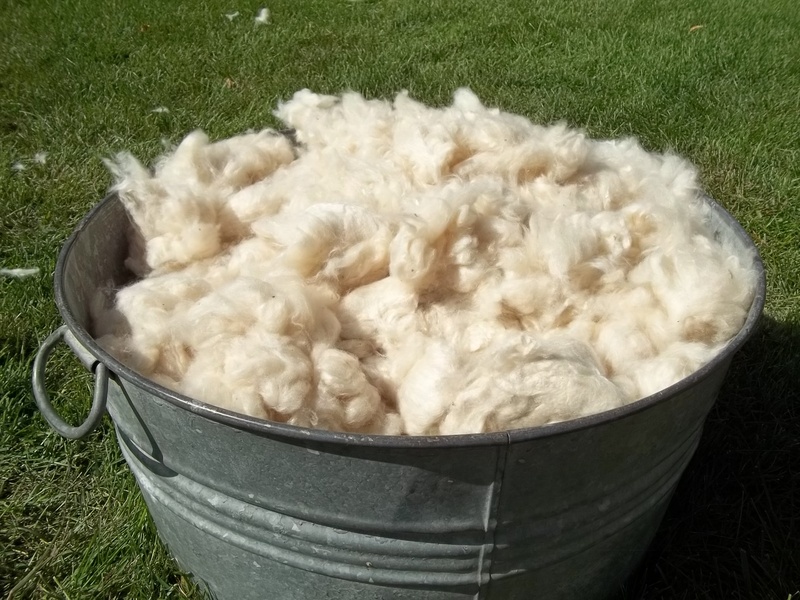 A recent study conducted showed that sleeping on wool (as well as wearing it and being in contact with it all the time) can drastically improve your feeling of health. Apparently, those hollow, spiral fibers made of a keratin so much like our own body produces can reduce muscle stiffness and provide a better night’s sleep than ever before. For more information on the study: summary of the study. A long awaited pattern is ready for delivery. Our most unique ticking and complicated pattern too. You will not find a product anywhere on the net like this because it did not exist until we created it. And we’re offering you the option to create it too. The pattern is quite simply the 12-page pattern with pictures, instructions, and a detailed cutting chart. The pattern kit is the pattern with the proper length of zipper, 2 zipper pulls and the appropriate length of fabric to preshrink. One pattern for all your bed sizes. If you need multiple sizes, you need only one pattern purchase. Our pattern is licensed under a creative commons license. In short, this license acknowledges that ideas are free and knowledge can be shared willingly. It means you may remix, tweak, and build upon our work even for commercial purposes, as long as you credit us AND license your new creations under the identical terms (Creative Commons Attribution-ShareAlike 3.0 Unported License). Pillowcase, ticking, quilt for your bed, you name it. Here is life simplified. You could spend an hour picking out fabric, cut it to size, purchase some wool batting, drive to a long arm quilter, wait a few weeks to get it quilted together and then hand sew the binding on like a normal quilter, or… you could do it the easy way. We’ll quilt it, you sew it as you like. Sewn up properly, this ticking will act as a fire barrier. 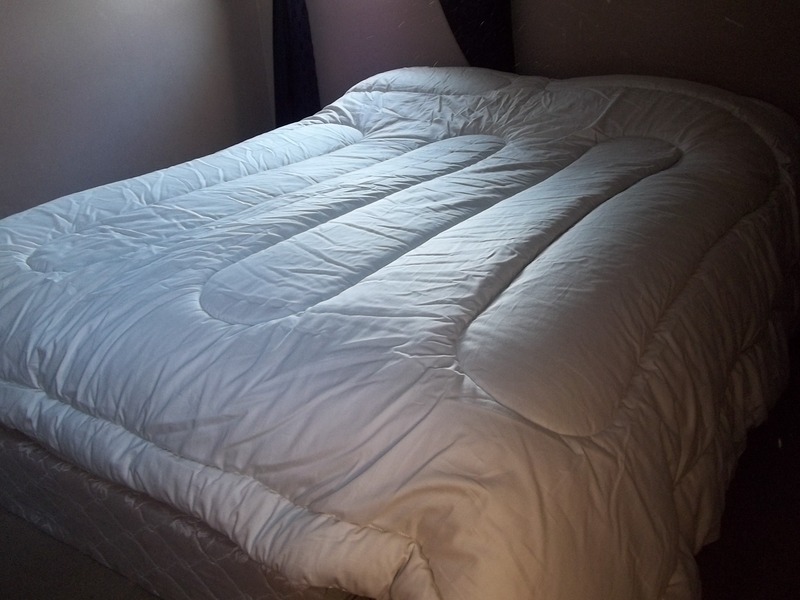 We also have added zipper by the foot to our supplies page as retail fabric stores will not have zipper lengths suitable for mattress sizes. A new post in the Of Interest section might interest you: Fire, Legalities and Wool. How did the laws on flames comes to be? Why we do not need to use flame retardants? Can wool pass the burn test? Could our products pass the burn test? For more information on fire retardants and your health, look for another article in the near future. 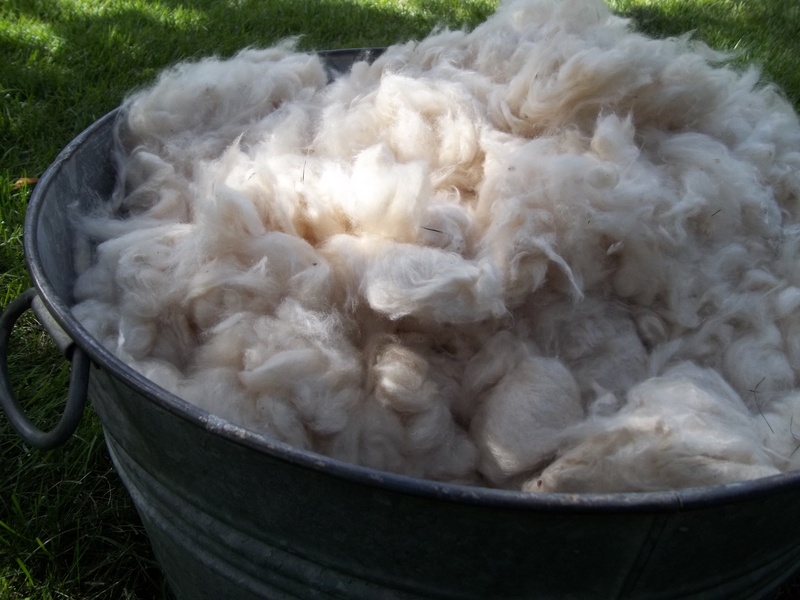 Farm wool and GOTS organic percale fabric, made locally at St. Peter’s Woolen Mill. Maybe you’d like one. Contact us if so. It’s not on our website yet. We’ll post it later when we get our DIY pattern available for it, but in the meantime, we can make them for you. Comes with elastic straps on each corner. Pick from your choice of pillows – Shredded Natural Latex or Kapok Fiber. All our pillows are adjustable fill, meaning the liner has a zipper enabling you to take out extra fill or add in extra fill, to create just the right height of pillow for your night. 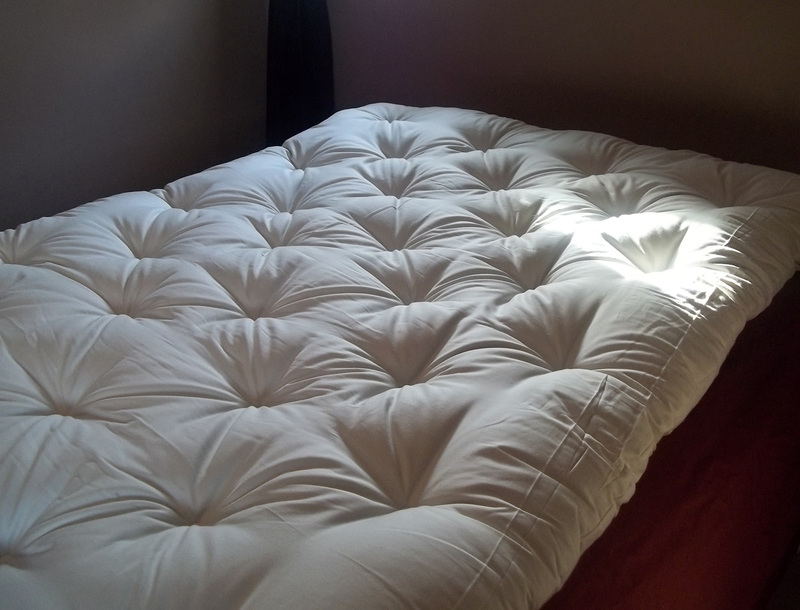 The pillows offered are standard size; if you want a larger size, you can pay the difference. With a new website that comes with a name change and an inability to magically change this facebook address, we need to abandon ship and start anew. Add us in your circles in Google+ . For those of you without social networking hook ups, place a comment or a review somewhere on our website here. You will eventually see cross postings from the blog to Google+ and Facebook. If you enter in more than one way, we will count your entry only once. 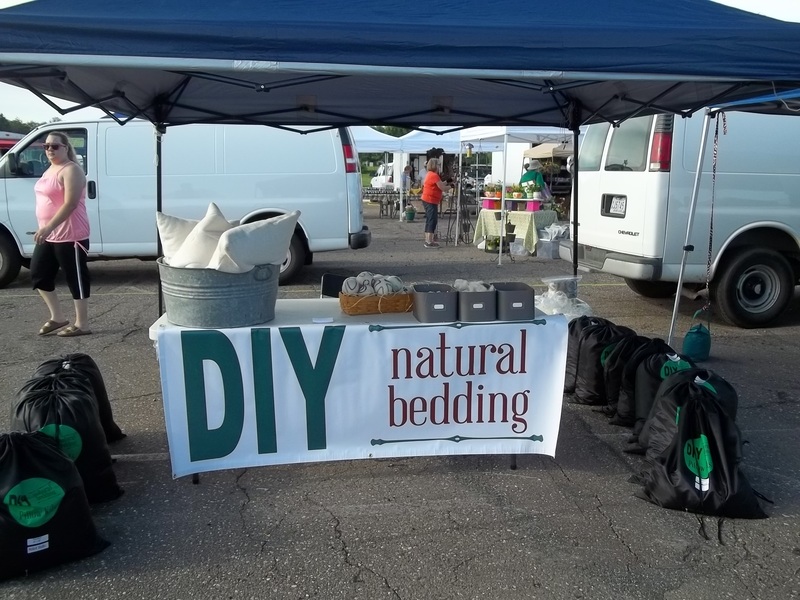 Welcome to DIY Natural Bedding. We hope you, like us, enjoy doing things yourself and like living naturally. We are here to enable you to have the bedding you like with industry quality products, yet at diy prices. We like to ask questions and hope you feel comfortable doing the same. We are people first, a business second. We work out of our home to enable that balance as well as to keep costs down for you. Stop by for a visit (well, call first please), we’d love to meet you and chat. If you’re the facebook type, we’re there. If you’re on Google +, put us in your circles. And then we’re here too. See you around.